RIZKNOWS retains full editorial control over the content in this video and has not accepted any monetary compensation from the Ninja to provide this video. However, in order make our business sustainable and keep our content free, we use affiliate links. That means if you make purchases through certain links at the top of the description of this video, we may earn a small commission (at no extra cost to you). We appreciate your support and we look forward to continuing to provide entertaining and helpful videos for you to enjoy. 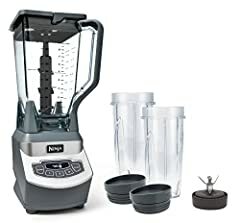 Best Ninja Blender 2018. In this video, Kaite walks you through the best Nutri Ninja Blenders. She discusses overall blend power, auto-iq settings and cleaning difficulty. 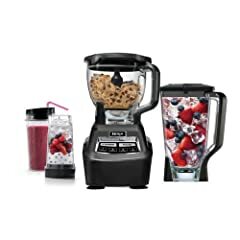 See which Ninja she thinks is the best budget blender 2018, best compact blender 2018 and best blender for smoothies. Some of the blenders discussed in this video include the Nutri Ninja pro, the Ninja Professional and the Ninja Chef high-speed blender. Ninja makes a ton of different blender models so hopefully this video helps make your decision a little easier. Just being real the title was “best ninja blender 2018”, but all I heard was a bunch of what she dislikes about the product… did I miss something? Please be less shouty. Otherwise great video. I like chocolate and banana smoothies. This is super helpful. Thanks. I like to use cups. I think I have one of the first Nijas that came out and still Love it!! Works great for all we do I don’t do smoothies unless you count chocolate ice cream and milk. As a smoothie. Lol. Have a great day !! Hi Riznows team, you make great content that is helpful for everyday use and consumption. Unfortunately The internet and many people in America feel they can be openly rude to people because they have an IP to hide behind. If people really dislike like one of your members that’s their loss. If they don’t like the free information you are giving they can go somewhere else to get it. If it’s not hurting your bottom line and/or you don’t care, keep doing what you are doing with whomever you want in front of the camera. Chocolate syrup, vanilla ice cream, with almonds and marshmallows. I’ve got the Ninja myself & it can with lots of accessories however I too don’t care for the pitcher (it does not blend well). I only use my cup blender- it’s blends better I make my smoothies & hummus in it all the time. Bonus it’s easy to clean as well. 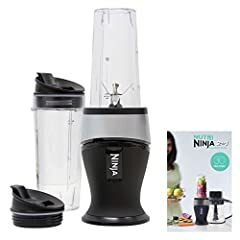 I give this review a thumbs down because it felt like a pro Vitamix review & honestly you’re buying a Ninja because Vitamix is out of your price range. I would like to have known if the cups are interchangeable between the various Ninjas. Yay another Kaite video! Also to others, she’s still trying her best and I know she’ll do better with more time and experience 🙂 And my fav smoothies are strawberry and banana, plus strawberry shortcake off of Jamba Juice’s secret menu! There is nothing wrong with this girl! You jerks, there is absolutely nothing wrong with this review, nor her. One thing I do agree with y’all on is getting rid of those dumb mattress reviews. my Ninja 900w works just fine! Bananas, strawberries, vanilla ice cream, and a little bit of milk!! I used to have a Ninja with the stacked blades. I didn’t like it and got a Vitamix. Your review is spot on! Maybe you should review Vitamix and Blendtec and maybe some of the other cheaper alternatives. I think I can trust your reviews! Pretty much anything that’s got mangoes and/or peaches in it! I use these bad boys and like them very much. Fav smoothie is just frozen mixed berries, other fruits, ice and water. I don’t know why people hate on the stacked blades. Unless you’re an idiot and don’t know how to grab it by the top and take it out before pouring, then you are going to get cut or have them fall out while pouring. And having blades all the way up the pitcher makes total sense to me rather than expecting the blades on the bottom to pull everything down and have to use the plunger. I don’t have a specific favorite, just whatever fruit and Greek yogurt we have in the fridge. Thanks for the review Katie.